During recent months, two completely diverse areas of technology have been hyped by journalists as solutions to current problems. The lack of journalistic skepticism and realism creates false hope for breakthroughs and major shifts in the production and distribution of food. 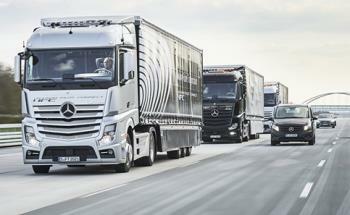 The first hype relates to self-driving trucks to alleviate a shortage of drivers. The technology is experimental and unproven. There is no legislation to control autonomous vehicles. Small SUVs appear to function well on test tracks but there have been too many failures under practical road conditions. Despite articles to the contrary, autonomous semis will not resolve the driver shortage. The second area which is receiving inordinate attention relates to cell-cultured protein. Again, there has been considerable progress at the laboratory level. Startups have attracted funding but no company has yet shown that it is possible to produce any product in quantity or at a cost which would even be remotely competitive with conventional pork, beef and chicken. 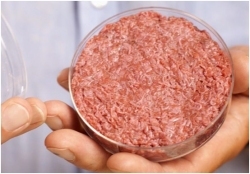 The federal government is only now attempting to establish jurisdiction over cell-cultured meat and there is considerable debate as to how the product, even if it becomes commercially viable will positioned in the marketplace. Let’s start being practical and reject pie-in-the-sky solutions which may be realized by mid-century but offer no logistical or financial advantage in the short or intermediate term.